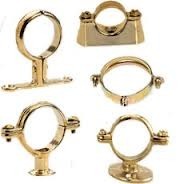 We are regular manufacturer of different types of Pipe Clamp. The entire range that is fabricated by us is designed and developed in compliance with the international quality standards by our team of experienced professionals. 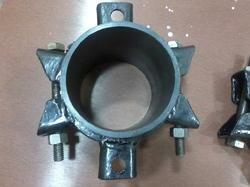 We offer our clients customization of these clamps as per their specification to satisfy their needs completely. This Clamps is perfect for woodworkers working on cabinets and wooden boxes. Just slide the pipe clamp through any length 3/4" pipe to hold wood in place for gluing and drilling! constructed of tough cast iron that keeps wood steady as you work, this clamp is a great addition to any woodworking work bench at the home or shop.